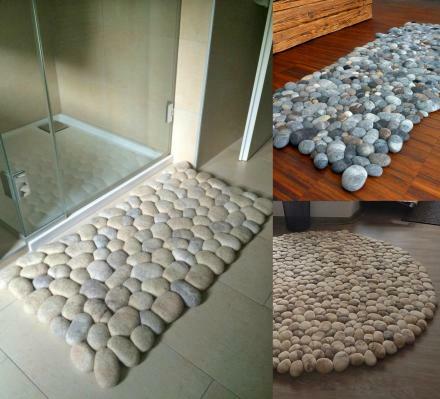 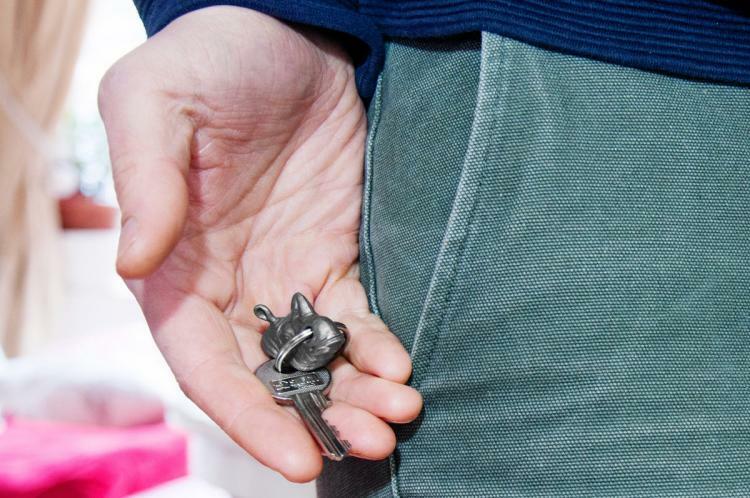 How often do you find yourself frantically looking for your keys each morning as you're already running late for work? Well if your keys were hanging from the nose of a bull while hanging on the wall right by the door, this wouldn't happen to you. 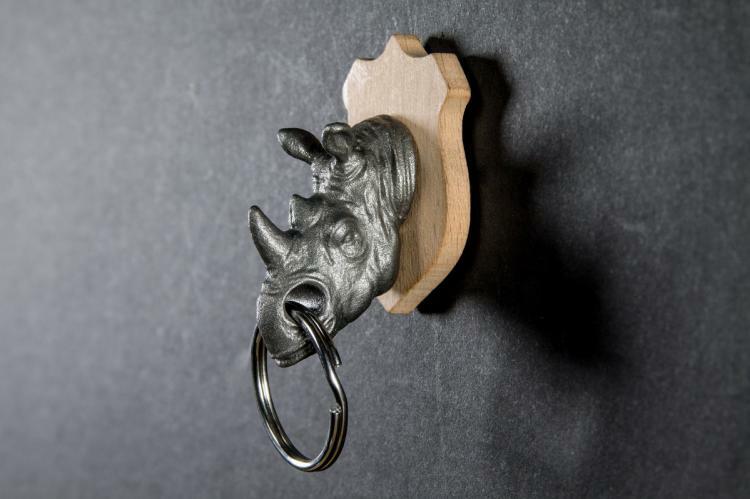 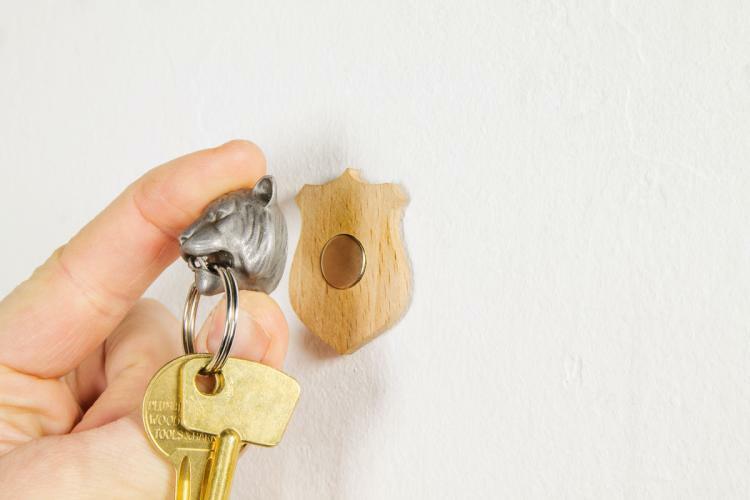 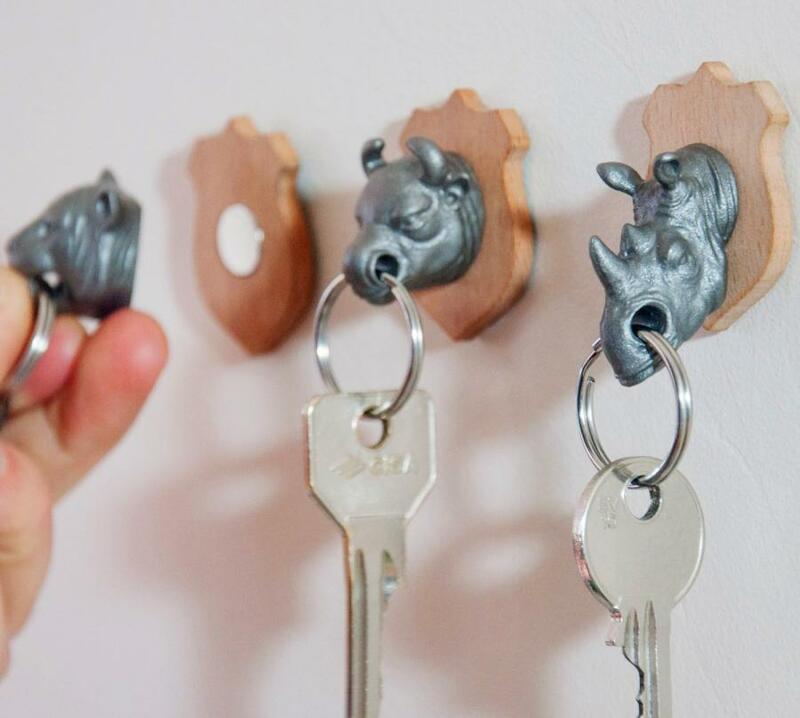 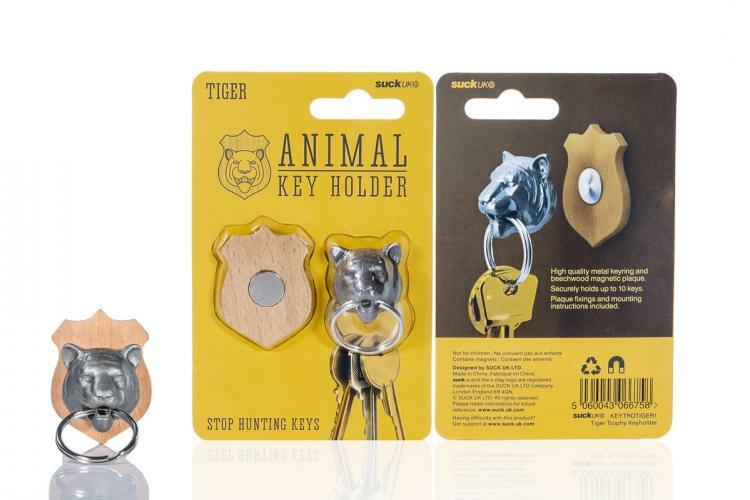 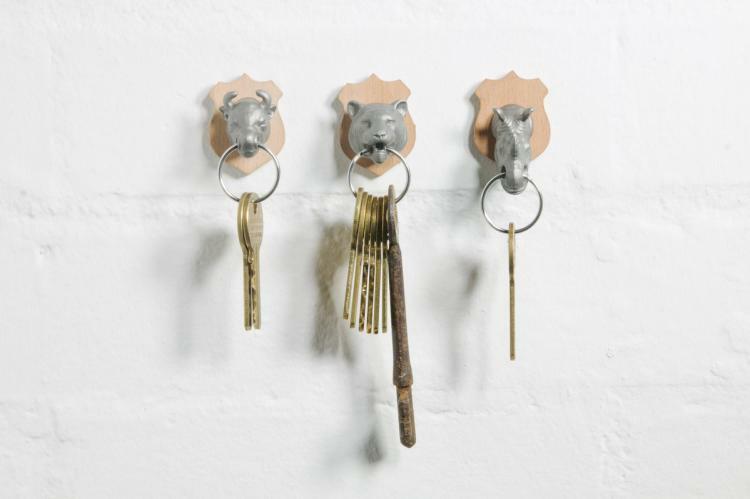 These key holders have a combo key-chain of animals like bulls, rhinos and tigers, and use a key-ring through their nose or mouth to hold your keys. 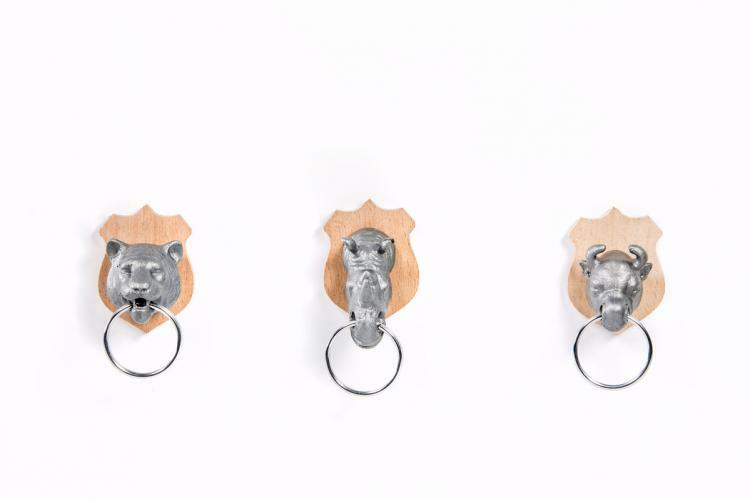 The back of the animal's heads are magnetic so that when you get home you can simply snap it onto the wooden backing that's already attached to your wall. 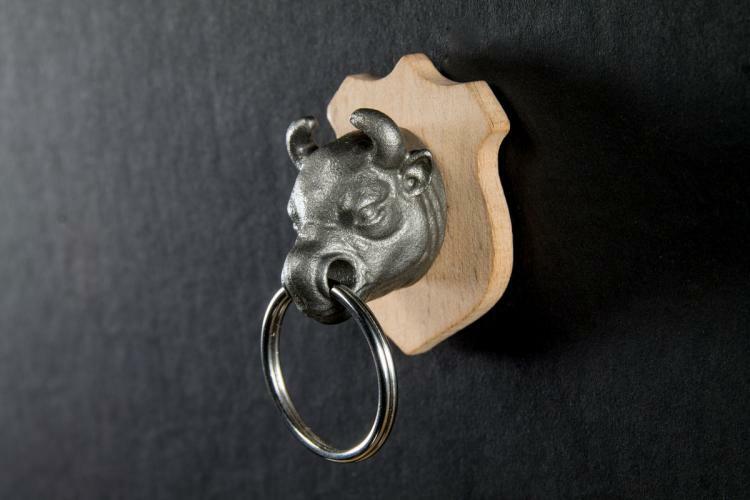 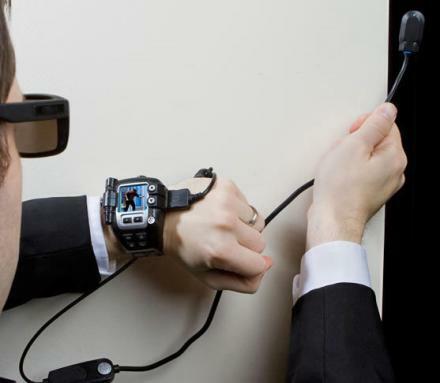 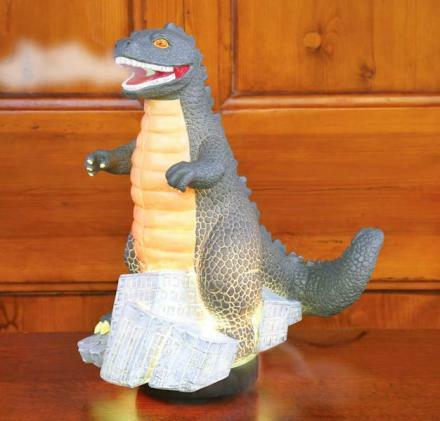 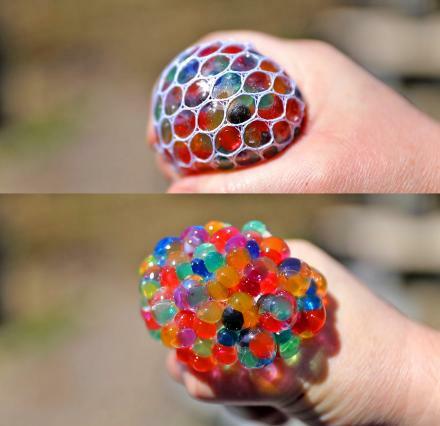 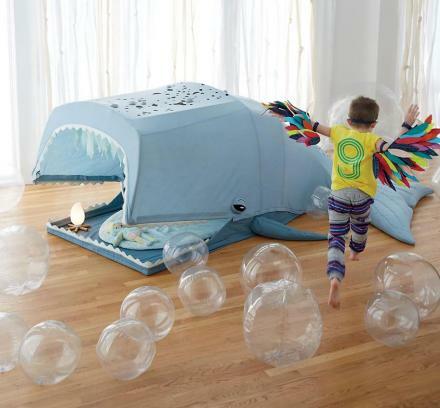 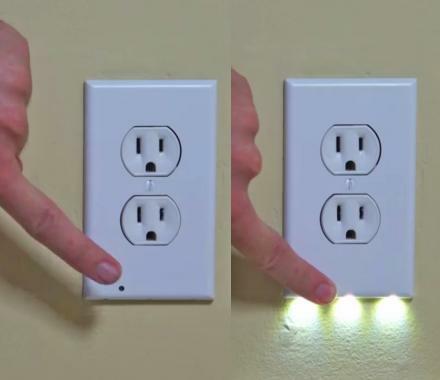 Plus it creates a mini hunting trophy right on your wall. 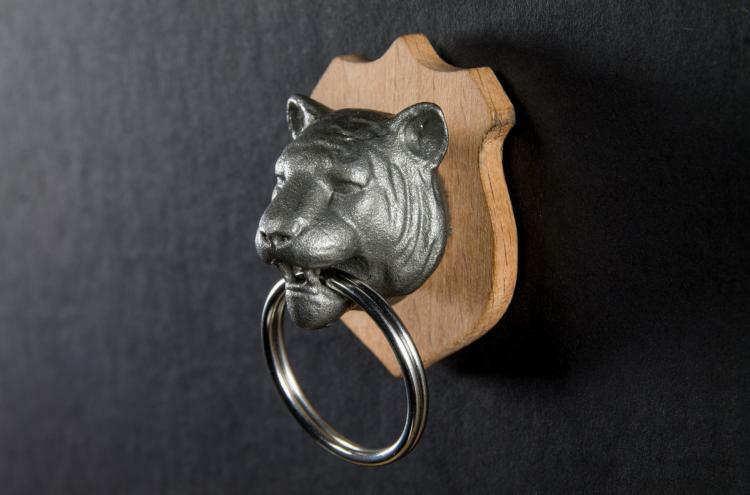 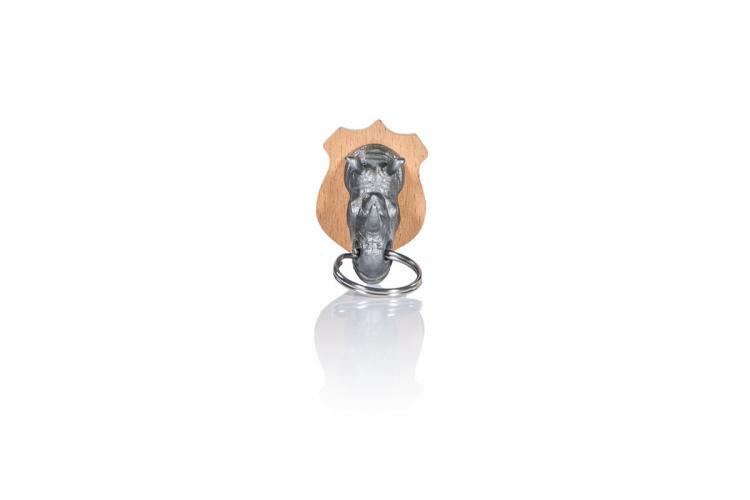 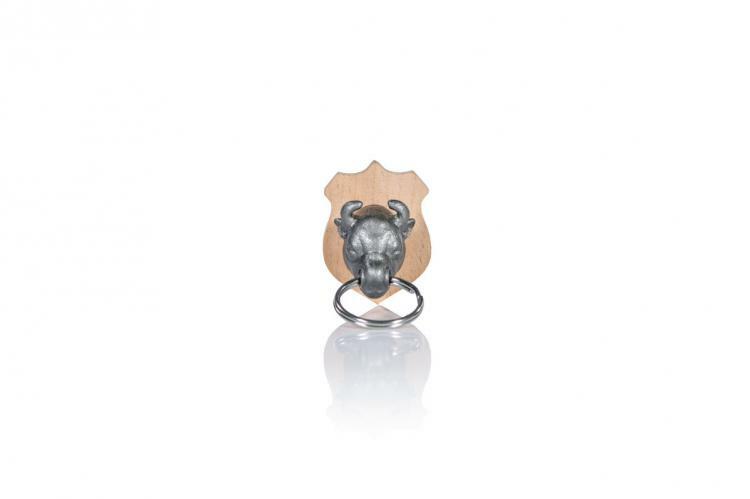 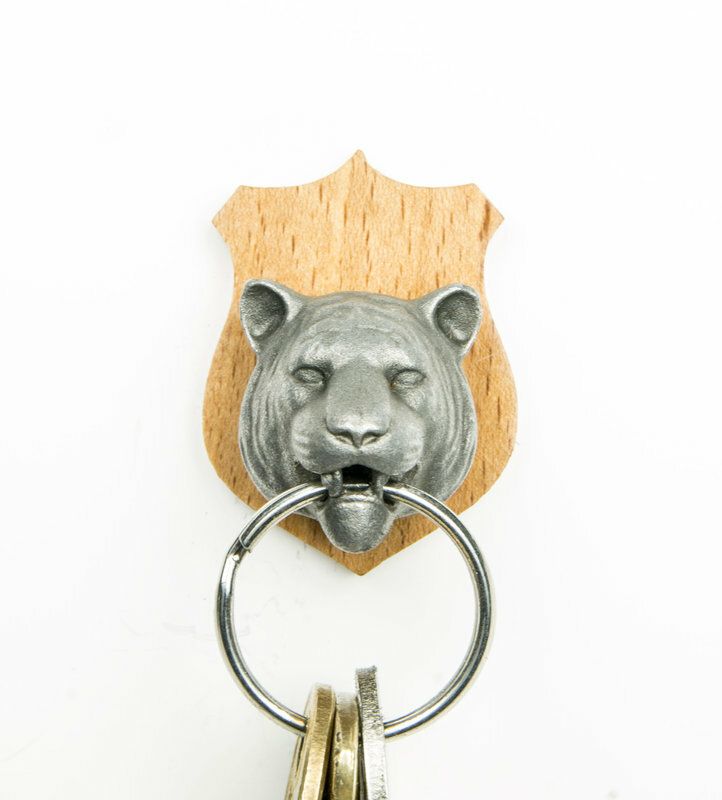 Perfect for hunters, the animal head key holders are made from durable steel for the animal, magnets, and wood for the shield backing, uses a self-adhesive foam tape to attach the wooden backing to your wall, weighs 0.097 lbs, and measures 2.56 inches tall x 1.18 inches wide x 1.18 inches deep. 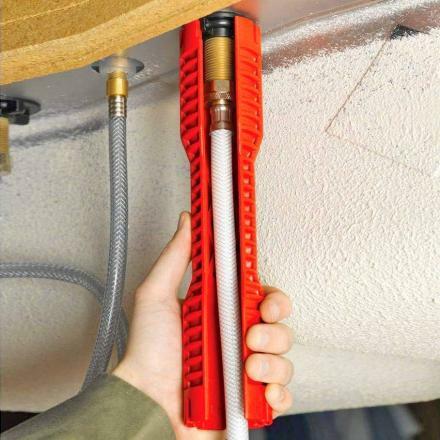 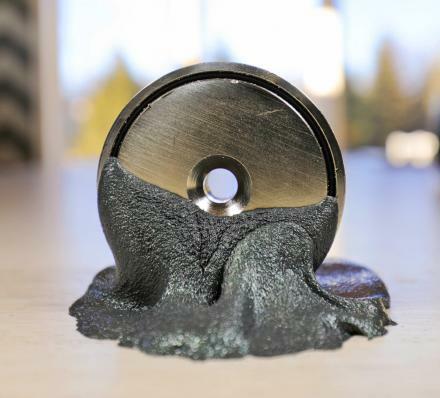 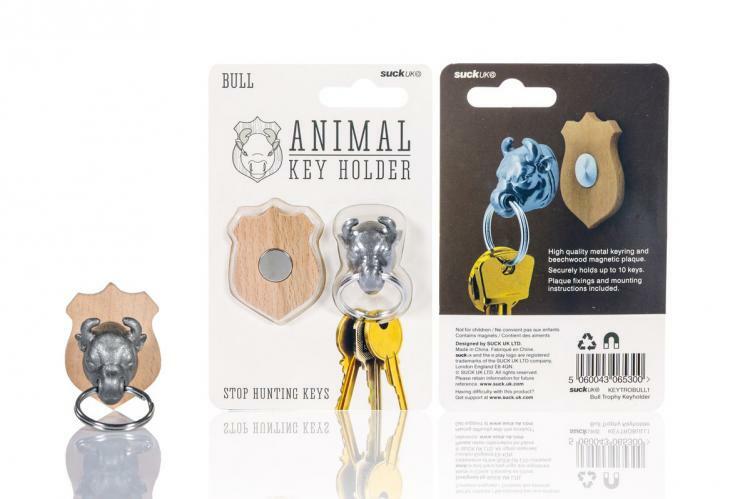 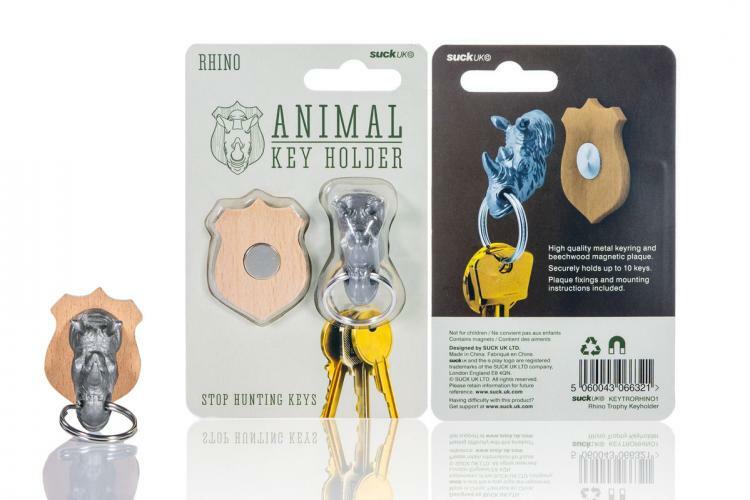 Check out the animal head key holders in action via the video below.